This illustrated Canadiana work brings together various folk tales and folk songs from various parts of Canada. Includes a Foreword, Preface and Index. In the publisher's note, it says "the stories in this volume originally appeared in two books: 'Canadian Wonder Tales', illustrated by George Sheringham and published by John Lane, The Bodley Head, London, John Lane Company, New York and S. B. Gundy, Toronto in 1918; and 'Canadian Fairy Tales', illustrated by Marcia Lane Foster and published by John Lane The Bodley Head, London in 1922." 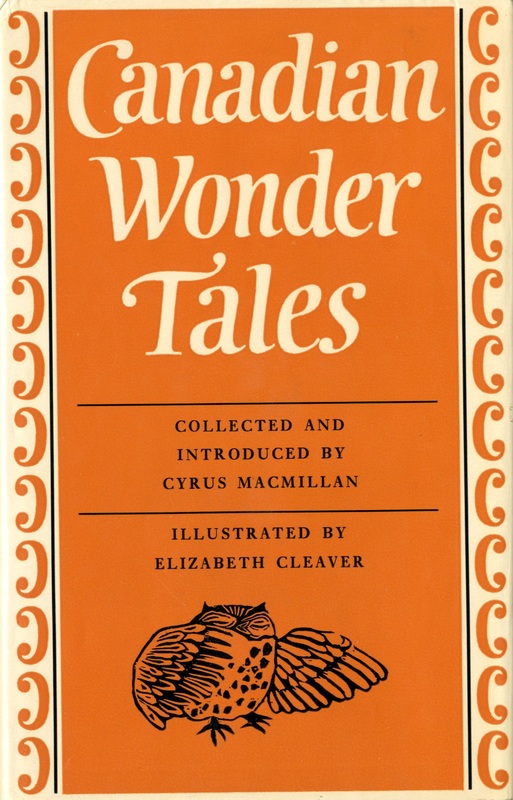 Cleaver, Elizabeth, 1939-1985 (Illustrator), Canadian Wonder Tales, Toronto and London: The Bodley Head (Canada) Ltd. in Association with Clarke Irwin Company Limited (Toronto, Vancouver), 1974, Children's Literature Archive, accessed April 24, 2019, http://childrenslit.library.ryerson.ca/items/show/7359.